Optimist residents of Ondo State started the year 2019 with great hope. They were confident that they were safe in the hands of the God-sent and transparent captain piloting the ship of the Sunshine State. Indeed, the peace-loving and supportive residents had dreamt to, once again, enjoy the dividends of democracy this year under the able leadership of Governor Oluwarotimi Akeredolu, SAN, like they did in 2018. So, when Akeredolu presented the 2019 appropriation bill to the state House of Assembly on December 31, 2018, the reality dawned on the people of the state that the governor was more than prepared to judiciously and effectively spend the public resources for the purpose they were meant. The people were convinced that posterity would never forget that their God-sent and affable Akeredolu came to government with the sole intention to build a new Ondo State where everyone, including serious and genuine investors and other business concerns, irrespective of their religious and ethnic leanings, would be free to carry out their legitimate social and economic activities unhindered. Before the preparation and presentation of the 2019 budget, Governor Akeredolu had used the 2018 fiscal year to lay the foundation of the economic trajectory designed for the state. The aim is to further push his administration’s efforts to make the Sunshine State the centre of vibrant economic activities. Governor Akeredolu signed the 2019 bill into law after the state House of Assembly scrutinised and increased the estimate by N3.7bn. This brings the total estimate to be spent on the state economy to N193bn. Of the N193bn budget estimate, the governor plans to spend N83.852bn on recurrent expenditure, representing 43.2 percent. He also estimates N90.113 for capital expenditure, representing 46.5 percent. 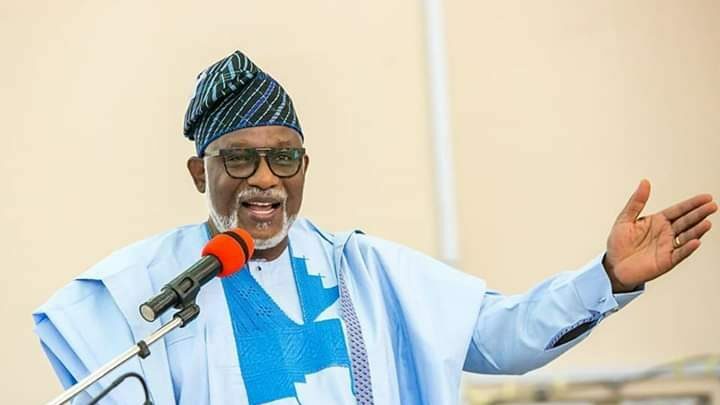 It is worthy to note that Akeredolu prepared the budget of advancement based on the projections of the 2019 to 2021 Medium-Term Expenditure Framework (MTEF) of the state. MTEF is one of the statutory provisions of the Ondo State Fiscal Responsibility Law (FRL) which the House of Assembly passed in 2017. The law makes it mandatory that every yearly budget must be prepared on the basis of the next three years projections of MTEF. Consequently, 2019 budget is an offshoot of the 2019 to 2021 MTEF. Based on the readiness of the governor, as promised while signing the budget into law on January 31, 2019, at the state executive chamber to fully implement the contents of the document, there is no reason to doubt the fact that the execution of all the projects captured in the 2019 fiscal year will have positive impact on the people of the state. This is because more jobs in both former and informer sectors would be created for the youth and dynamic securities of life and property guaranteed. In the same vein, most of the major Memoranda of Understanding (MOUs) orchestrated through the Ondo Development Investment Promotion Agency (ONDIPA), inclusive of the Deep Sea Port, will fully bear sweet fruits for the consumption of everyone in the state. Because the 2019 budget of advancement captured the essence of Akeredolu’s administration blueprint, all the ongoing projects across the three senatorial districts of the state will be completed and inaugurated for the public. The implementation of the budget will also ensure the rapid economic development and transformation, as well as sustained expansion of fiscal space and rejigging of the economy through strategic wealth creation for the productive sector. In spite of challenges posed by the inadequacy of funds, the budget implementation will enhance accelerated rural development, promotion of functional education, ensuring technological growth and robust human capital investment initiatives and providing social security services. Above all, the significant and noticeable steps taken by the current administration to make Ondo State the hub of economic activities by highlighting areas where the state has comparative advantage will attract investors into the state in drove.